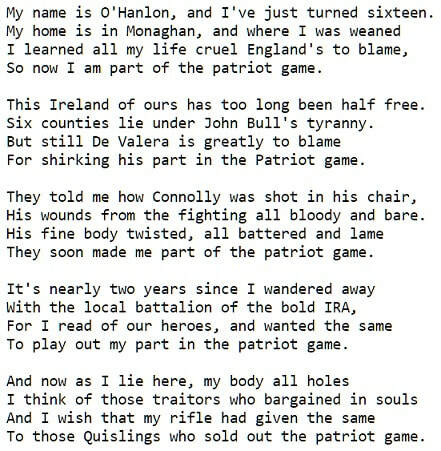 The Patriot Game Banjo - mandolin tab in the key of G Major. Written by Dominic Behan. This song was recorded by The Clancy Brothers And Tommy Makem plus many other ballad groups in Ireland. The tuning for the 4 string tenor banjo is standard GDAE. 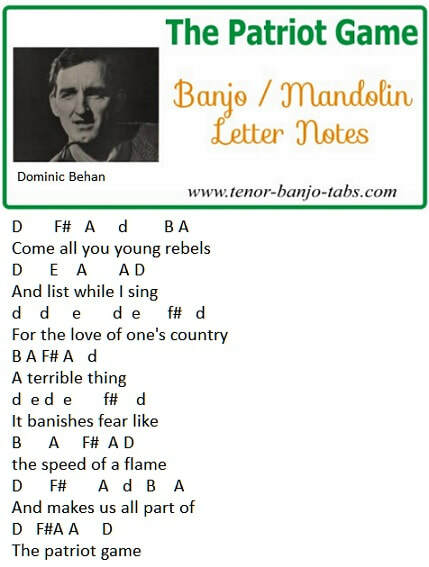 The Patriot Game sheet music for mandolin and tenor banjo. Written by Dominic Behan.